There has been recent scrutiny about the forecasted overspend of the levy. UVAC has been predicting this for some time and now the Institute (IfATE) and the National Audit Office have confirmed this is an issue writes Mandy Crawford-Lee, Director of Policy and Operations, University Vocational Awards Council (UVAC). We are now in a situation where ‘proposals’ for a way forward are being put forward, so here is a view from the perspective of an organisation that wants the levy to be used to raise productivity, enhance social mobility and support the delivery of high-quality public services. Bizarre Proposals: We’ve had some fairly curious proposals on how to manage such an overspend. AELP has called for an end to using the levy to fund level 6 and 7 and degree apprenticeships. The government initiative to fund three million apprentice places by 2020 has had a mixed response, but, as Jill Whittaker, MD at HIT Training says, the funds are there for the taking and businesses are already seeing results. For some hospitality businesses, the perceived admin involved with the government’s apprenticeship levy may have felt a little overwhelming. It’s perhaps hardly surprising that, according to a report by the Open University, £1.3b of the cash paid into the fund is yet to be claimed. But this figure is less dramatic than it first appears; with businesses having 24 months to use levy payments, they may just be taking time to understand the scheme first. This is our experience at HIT Training. In the hospitality sector, May 2017 saw apprenticeship starts at just 25% of the same month in 2016. But by the end of 2017, that figure had increased to 80% year on year. Far from writing a scheme off in its infancy, we need time to allow new complicated legislation to bed down. As a reminder, the levy itself requires all companies with a pay bill of more than £3m to contribute 0.5% of their payroll costs to the scheme, which they then claim back for training. This amount is then topped up by 10% from the government. Businesses with pay bills below £3m don’t pay into the fund but they still have access to government subsidies of 90% of the cost of the apprenticeship, with the employers co-paying the additional 10%. A recent survey from People 1st showed nearly two-thirds of employers in the hospitality, travel, tourism and aviation sectors are either confident or very confident they will see a return on investment from their levy contribution. Better staff retention rates, improved skills and personal development have all been highlighted as benefits by nearly three-quarters (72%) of respondents. Employers given green light to transfer up to 10% of levy funds to multiple businesses the Department for Employment reports. Large employers will soon be able to transfer up to 10% of their apprenticeship levy funds to multiple businesses, helping to boost the number of high-quality apprenticeships across the country. 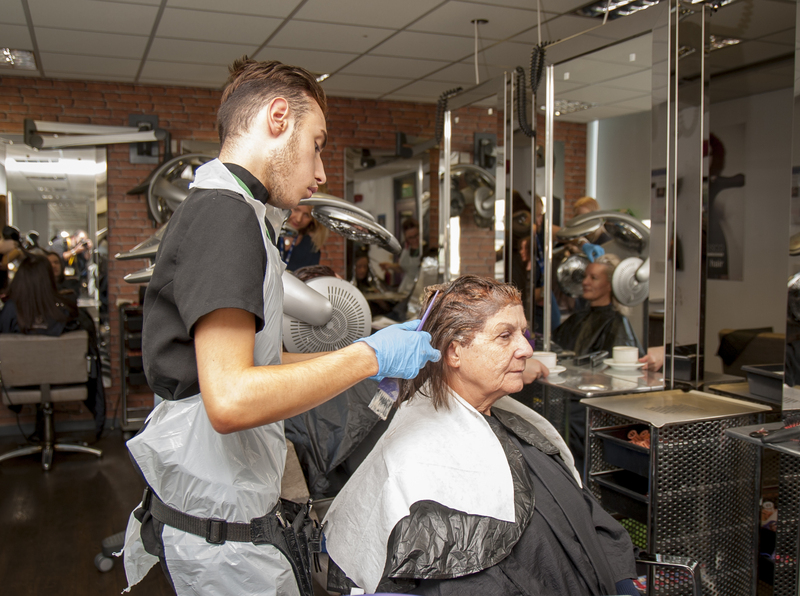 Apprenticeships and Skills Minister Anne Milton announced the move on 26th June at an event attended by over 160 top businesses to celebrate apprenticeships and the significant contribution they are making to their businesses and the wider economy. The apprenticeship levy is giving employers a real opportunity to invest in high-quality training, helping to grow their business and get the skilled workforce they need to thrive and succeed. Only around 2% of employers pay the levy but that investment has funded more than 40% of the apprenticeships started in the last year. Currently, levy-paying employers can transfer up to 10% of their apprenticeship service funds to one other employer. After listening to businesses, the Minister’s announcement today goes further and provides even greater flexibility for businesses so that from July, employers will be able to make transfers of up to 10% to as many other employers as they choose. This move will lead to more quality apprenticeships being created and will help employers to work together in partnership, supporting them to take on apprentices who may not have done so otherwise. An open letter signed by skills minister Anne Milton, Institute for Apprenticeships boss Sir Gerry Berragan and dozens of senior figures from business schools, businesses and other organisations wants the sector to “support employers in making use of the levy”. A spokesperson for the Department for Education said the letter had been intended as a defence of the apprenticeship levy following recent criticism, including from the Confederation of British Industry and the manufacturers’ organisation EEF. “We believe that the apprenticeship levy gives employers a real opportunity to invest in training, bringing the well-recognised enthusiasm and new ideas of apprentices to their business,” the letter said. University should not be “viewed as the only route to a successful career”. “That’s why we should support employers in making use of the levy, and in providing opportunities for people to learn, earn, and get on in life,” it concluded. Thus, rather grandly, begins the second paragraph of the government’s policy document English Apprenticeships: Our 2020 Vision, published after the chancellor’s announcement in July 2015 that an employer levy would be introduced to fund apprenticeships. The ensuing text made the point that around the world apprenticeships have long been seen as a crucial way to develop the skills wanted by employers. To address the pressing skills gap, the government pledged to increase the quality and quantity of apprenticeships in England, laying out the bold objective of reaching three million starts by 2020. At the centre of reforms was the introduction of the apprenticeship levy on 6 April 2017. Employers with an annual payroll of more than £3 million are required to pay 0.5% of their annual wage bill into an apprenticeship service account run by HMRC to pay for apprenticeship training and assessment. The government automatically adds a 10% top-up to funds, although any unused funds expire 24 months after entering an account. But while the intention behind the overhaul is laudable, the outcomes have so far fallen short of the aspirations. A year after implementation of the levy, debate rages as to its effectiveness and opinion remains divided. CIPD research released in January 2018 found almost a fifth (19%) of levy-paying firms don’t plan to use it at all to develop apprenticeships and will simply write it off as a tax. Moreover, many firms are re-badging existing training in an effort to claw back the levy they pay. The upshot of this is that in many instances, instead of bringing additional value, the new system is creating burdensome bureaucracy and cost. And when the Department for Education released figures in January 2018 showing a decline in apprenticeships it elicited a scathing response from manufacturers’ organisation EEF, which asserted this was clear proof that the levy and wider reforms weren’t working and that a radical rethink was required. So how do employers feel about the levy a year in? Do they see it as a success, failure or somewhere in-between? A work in progress or something that should be scrapped? According to a survey by EEF, 95% of manufacturers want the apprenticeship levy changed in some form, with a quarter want the levy to turn into a training levy. “Two-fifths of companies say colleges and training providers are either unable or unwilling to deliver the Apprenticeships that manufacturers want”. EEF’s report – A Levy Price to Pay? explores the impact that the Apprenticeship Levy has had on manufacturers. It finds that manufacturers have not been able to afford to stop training apprentices as they are vital to their business, but that the Levy itself hasn’t spurred on further investment in, or recruitment of, apprentices. In fact, in some cases plans to offer apprenticeships have been scaled back. It finds that just 7% of manufacturers have faced no challenges with the Levy. With the majority facing challenges in finding quality providers, relevant standards and meeting the various funding rule requirements. It is not a surprise then that manufacturers want to see change. The following blog was published on the ERSA website on 9th April 2018. With the first anniversary of the Levy fast approaching, 2018 has already started to see a huge change in the market and it’s a great time for businesses to think seriously about their options and how best to use this to their advantage. Levy funds can be used for anything from new apprenticeship starters to up-skilling current employees, and any unspent funds are returned to the treasury after 24 months, which is why the deadline is an opportunity for business leaders to take advantage while they can. At Seetec, we’re now seeing the highest level of Levy starts so far this year. The impending deadline coupled with strong, strategic planning has boosted employee communications and engagement. Losing out financially has meant that Levy numbers have increased and we anticipate that the second quarter will be our busiest for starts ever. For British businesses, there is the chance to up skill workforces and deliver real returns by taking advantage of the Levy, and it’s great to see people moving up the career ladder and in turn creating new opportunities for others. But leaders looking to get on board will have to think seriously about the next steps towards progression and do their research, as the upcoming quarter is a critical time for the Levy. More than £1.28 billion of the funding that has been paid into the apprenticeship levy is sitting in National Apprenticeship Service accounts as organisations in England struggle to find their footing, according to new data analysis commissioned by The Open University. Analysis of data from the Education and Skills Funding Agency acquired through a request under Freedom of Information Act  reveals that one year on from the introduction of the apprenticeship levy, organisations have paid in more than £1.39 billion but only withdrawn £108 million. Today, The Open University’s new report – The Apprenticeship Levy: One Year On – warns that employers must pick up the pace. If organisations in England continue to use the funding at the same rate, they risk losing as much as £139 million a month from April 2019, which could otherwise be used to build skills, attract and retain staff, and increase efficiency. A year is not a long time considering it can take up to nine months to get an apprenticeship programme up and running.